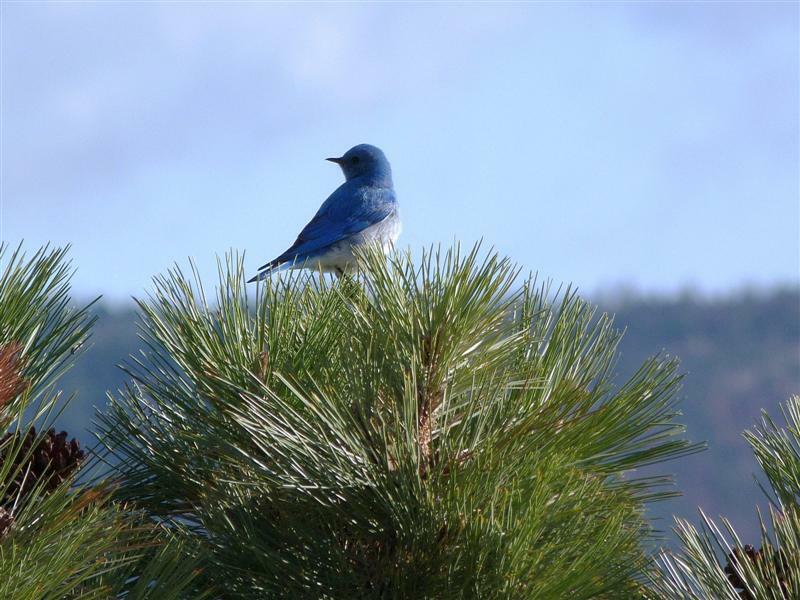 The bluebirds have returned! I have 6 bluebird nest boxes setup; and plan on adding more. The weather here has been completely overcast & chilly, for weeks, so today, the sun is out, and so are the birds! These were with full telephoto, handheld. 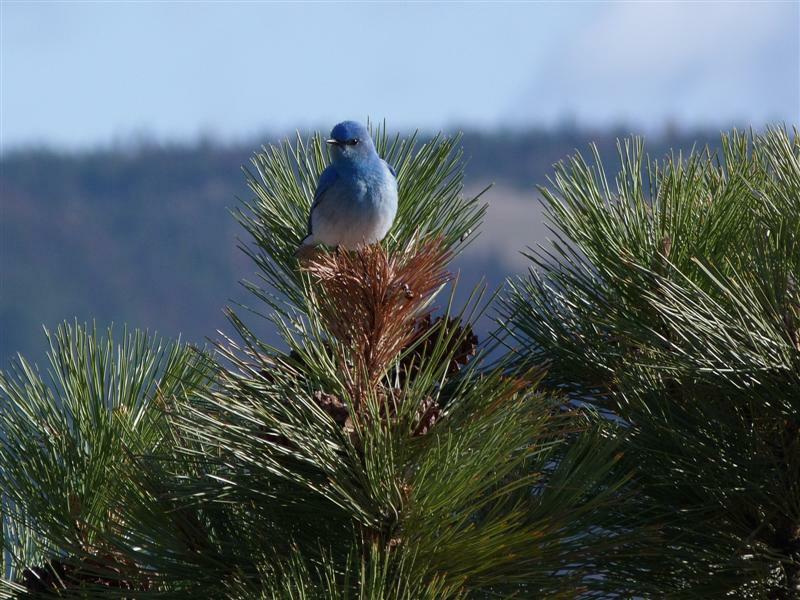 This is the Mountain BlueBird, a male. Females are a subdued gray color, with just a hint of soft blue. Hi Carol! Wow these are great, love bluebirds. JJ; thank you! I appreciate it! It's been so cold & gloomy, that this is the first chance I've had to start enjoying my FZ40 again! These little bluebirds are such a delight to see. They return here to my nesting boxes every year! Beautiful bird and stunning shots dear Carol!! Thank you! Yes, everything is going well for me; now that warmer temps & the sun has returned. It's amazing, when it's heavily overcast, even the birds are not very active, nor sing; kind of like us humans! Hi Carol!! These are so beautiful, my absolute favorite bird. #2 is so precious!! Your Mountain BBs do look a little different from the Eastern and Western BBs, which both have a bit of orange on the chest (males). I've had 2 nest boxes up for several years but they still sit vacant. There aren't too many BBs around here.... But I know somebody who waited 16 years before a pair moved in, so I'm going to wait patiently. Again, these are really wonderful shots, thank you for sharing, and maybe there are BB chick photos in your future? Thanks Saly! Yes, I'm hoping for some baby bluebird photos, as the nest boxes have one panel that swings away, exposing the nest! 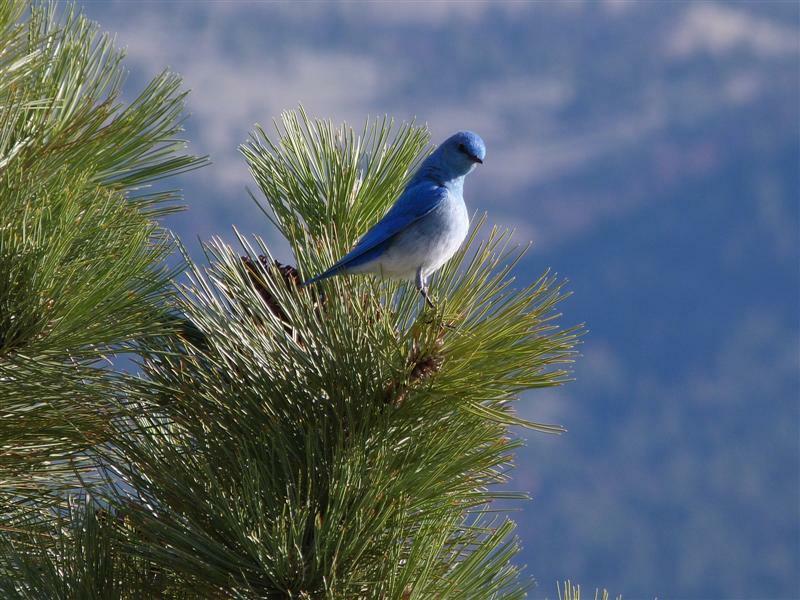 I'm very fortunate to have some around here; however I've had the bluebird houses up for many years.